To avoid the skeeters we headed to the offshore coast; wind, weed and dirty water - not ideal - but hopefully a shark or two would play. It was a long walk through the wet sand and we sat for an hour or so before one of the rods knocked round - a stingray lost in the darkness. 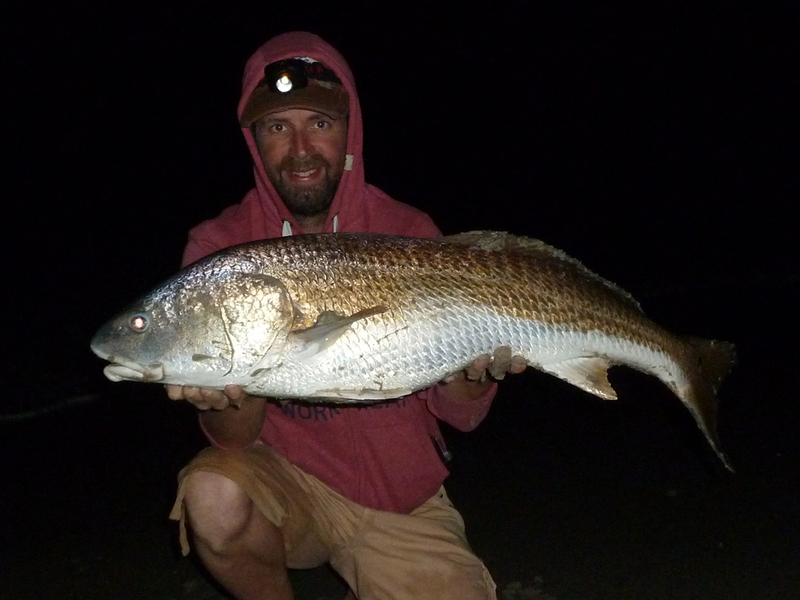 Next up was a 37' red drum (top photo), perhaps we'd made the right move, a sandbar shark about 3 foot soon followed. 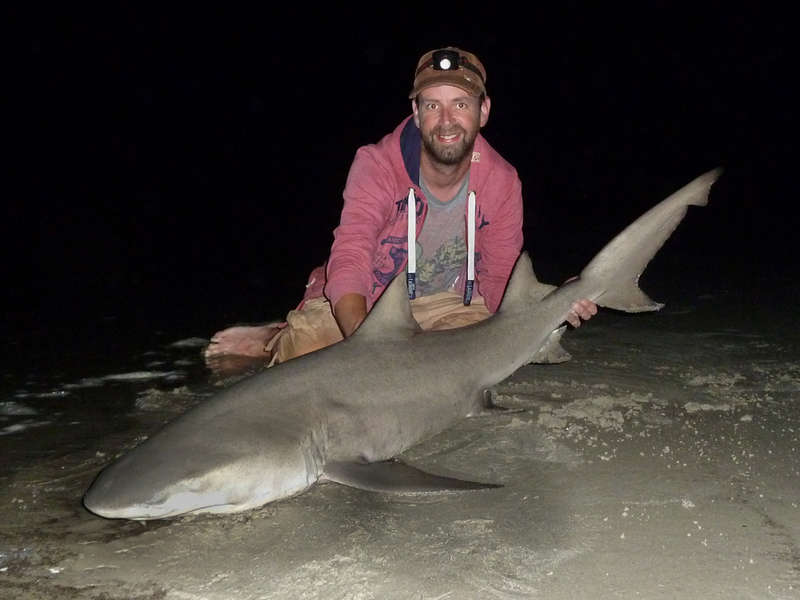 Half an hour later a light rod nearly ripped from the spike - shark on! Initially it stayed deep but then surfaced, we saw it in the spotlight - the double dorsal fin showed it was a lemon shark in the rough water. 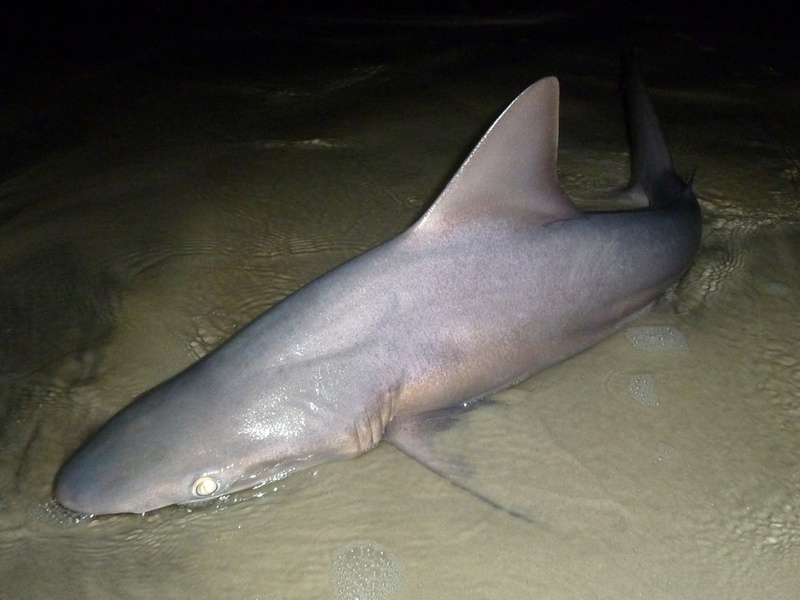 Great fight, and fifteen minutes later a 5" 3½' shark was beached - brilliant, these are the ones we're after! We hoped there were more but the lines were getting weeded up so we packed up and made the long walk back. Seven straight days fished and blogged - and without a blank - not a great deal of sharks but that seven footer more than made up for it, plus the monster stingray and those hard fighting reds. I'll take that any week! It looks awesome Brian, very envious of your exploits and best of luck mate with the rest of the trip....green with envy!